Annyeong! Its already March and I finally got hold of most of the items I have been lemming. Yay! Its better to buy something you really like rather than to think of it too many times. You know you will end up buying it anyway. 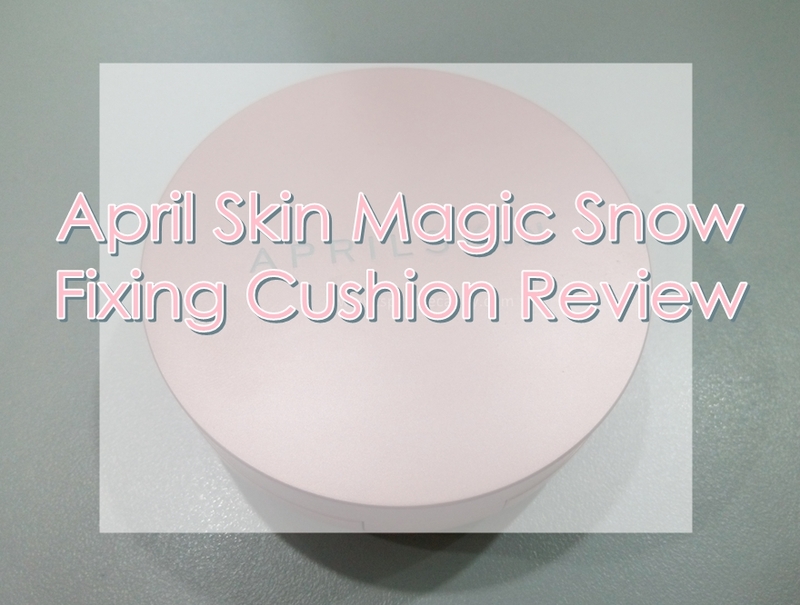 I restraint myself from buying too many makeups etc but I can't help myself with April Skin Magic Snow Fixing Cushion. Full matte coverage Magic Snow Fixing Foundation with its innovative compact format, ensures perfect complexion and is easy to touch up. 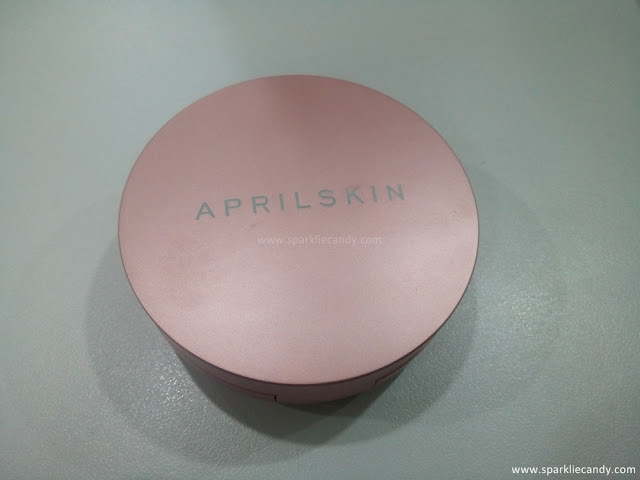 April Skin Magic Snow Fixing Cushion is aimed for great coverage especially for troubled skin. this cushion is trending all over the social media due to its truly convincing marketing video. No wonder, that this baby is selling like hot cakes. 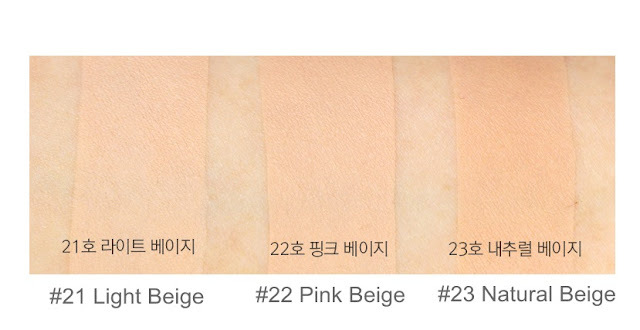 April Skin Magic Snow Fixing Cushion is available in 3 shades: 21 light beige, 22 pink beige & 23 natural beige. Step3 Gently press cushion to release the perfect amount of foundation on the puff. I am head over heels in love with the rose gold packaging. I am so glad that I am buying a pink colored makeup item. 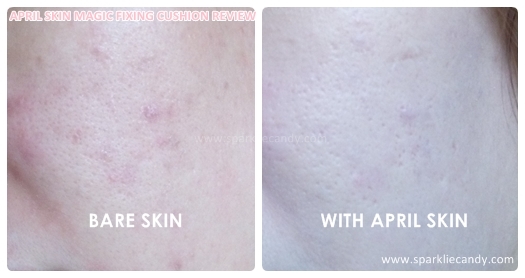 April Skin Magic Snow Fixing is my very first cushion and I am thrilled when I received it. Compared to other cushions, April Skin offers innovative mesh netting which makes it less prone to drying out fast unlike other sponge type cushions. It also says that its there to ensure even application. The only thing I noticed with it is that it attracts finger prints, so the case looks a bit dirty as it looks in the picture above. The sponge provided looks flimsy but its not. Although its not soft, I like it because it doesn't absorb too much product. The sponge works great with layering the foundation. I was originally looking for April Skin 2.0 but feedback says its more on the dewy finish. Given the Philippine weather, April Skin Snow Fixing which is matte is more suitable bonus fact is the case color which is rose gold. 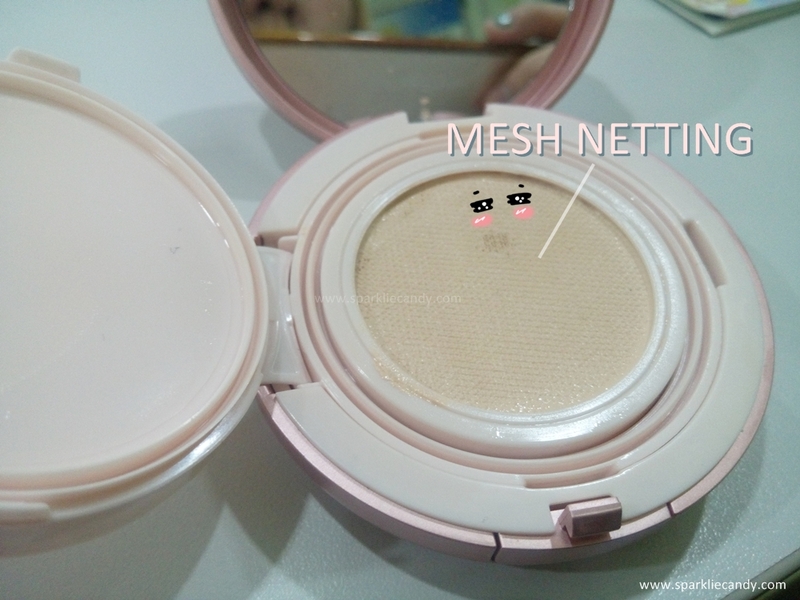 This bb cushion has a slight powder scent. In terms of coverage, it borders light to medium but it managed to cover my red spots. Dark spots still need a bit of concealer though. In terms of pore visibility it kinda lessens its pore size and it gives a filtered soft effect. End finish is matte but not flat, I did not used powder on top but it did not make me look oily. 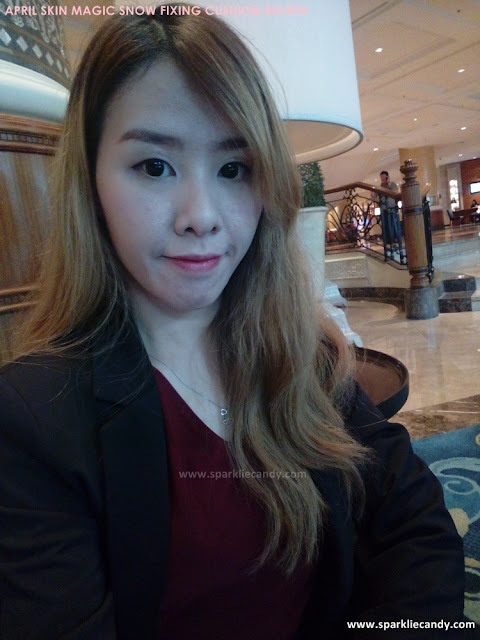 April skin did not accentuate my dry patches which is great because I have patchy skin right now because I am currently using local obagi. I am thankful that although its matte its still a not so dry formula, it even feel like it provides moisture. Its very lightweight and feels like second skin. 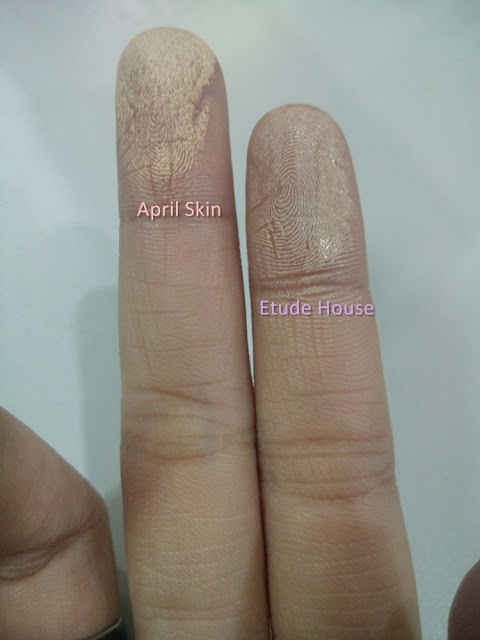 Compared to my Etude House Perfect Fit BB, April Skin has a drier formula. 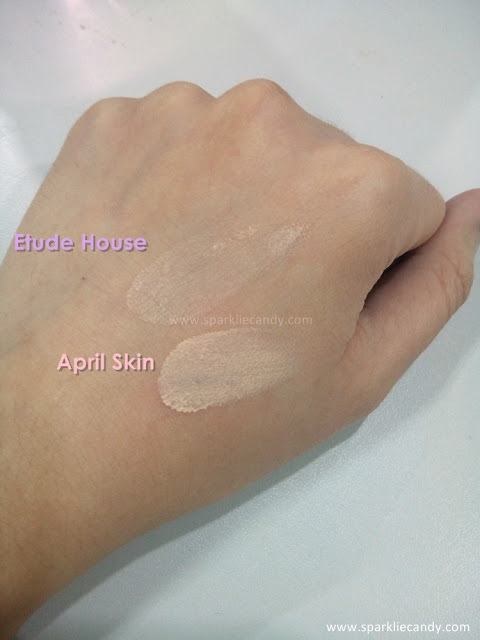 April Skin also has yellow undertone while Etude House has pink undertone. Its not visible on the pic above but when worn on the face its more obvious. 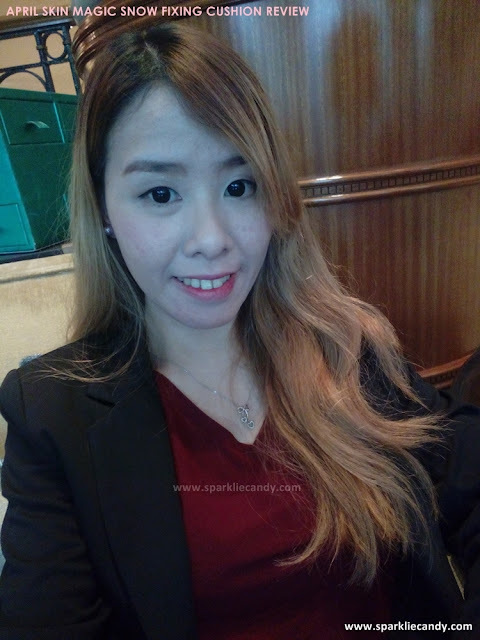 Comparing the two I must say April Skin's coverage is better due to its formula. Easier to layer too. Another selling point of April Skin is that its advertised as a type of bb cushion makeup that won't transfer, well to be honest with you guys, it does but its very very minimal. At night I take it off with Micellar water. I still reapply and bring the cushion with me outside so I can reapply at midday. Fresh makeup looks best of course. With continues usage I think it can last me a month or so. Without further ado, behold my troubled skin below before and after April Skin. There are a lot of fake April Skin cushions nowadays, make sure to buy only original ones, we don't know what is inside the fake ones. Althea PH offers this at P950 per cushion here, if you are okay to wait (because it will be shipped from Korea) then this is good, they often have promos and sale products, if you plan on hoarding korean products then this is sweeeg~ (awesome, read: Kim Bok Joo fans if you know what I mean). If you want the product ASAP, BeautyMNL sells this at P1285, still cool given that you get it faster than a speeding bullet, (pun intended) link here. Remember to buy this variant if you have oily to combination skin. The April Skin 2.0 is for dry skin gals. Yes to the moon and the back~ I love this cushion! 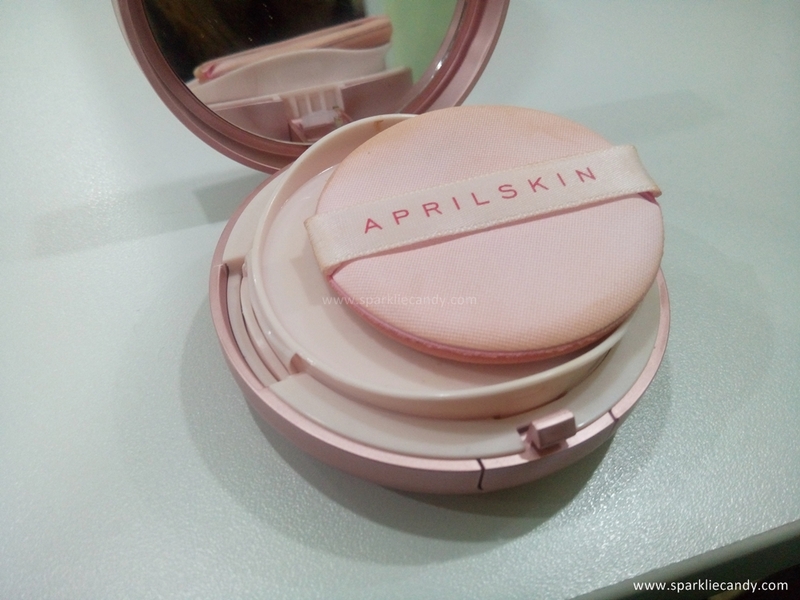 April Skin Magic Snow Fixing Cushion's coverage and yellow undertone are perfect for my needs. It ends into a natural bright finish without the need for powder. April Skin is my very first cushion and I am not disappointed. Chien! what a great review! I was looking for detailed review on april skin cushions but I didn't see anything very informative like yours. thanks alot! now, I can choose which cushion perfectly fits on my face. btw, how did you make your website? I want to make vlogs- opinions in our social problems here in the Ph.which I can voice out everything I wanna say which can be helpful to others. Hoping for your response. Thank you godbless!